I am sorry if my blog is becoming like an announcement for winning stuff.. This time, after 3 intensive rounds of presentations, Hoiio won SiTF Gold award for Cloud Solution, as well as the ultimate Judges’ Choice! 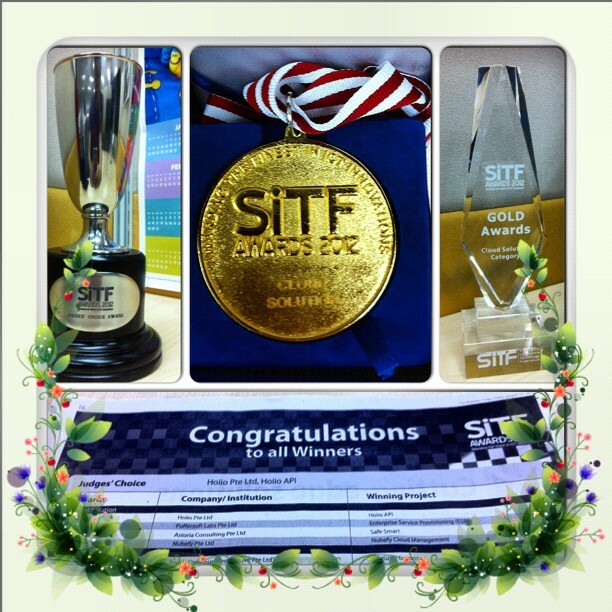 In case you don’t know what is SiTF Awards, it is like Olympics for Singapore innovations. Sort of.